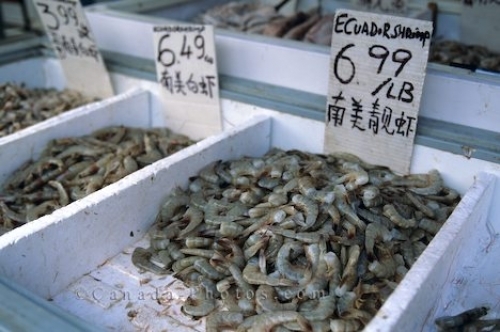 The markets in Chinatown in Toronto, Ontario are a great place to buy fresh shrimp at fairly reasonable prices. There are a variety of different types of shrimp on display in the bins. Picture of shrimp at the market in Chinatown in Toronto, Ontario.